ORNL Traveling Science Fair exhibit at the Tennessee STEAM (Science, Technology, Engineering, Art, and Math) Festival. ORNL's Communications team works with national, regional, and local media outlets on news stories about the laboratory. Media seeking more information on ORNL research and development activities may refer to the resources listed below or go to our News Resources page for contacts, photos and other useful tools. For a brief explanation of the sometimes confusing relationships among ORNL, other U.S. Department of Energy facilities and their contractors, take a look at our "Who we are" page. General questions not related to media queries may be sent to news@ornl.gov. 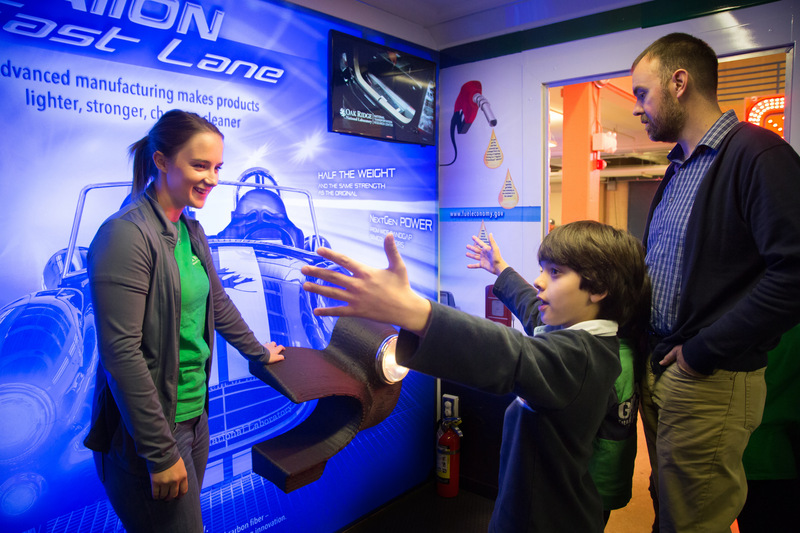 ORNL is also involved in a range of outreach activities at the local, state and regional levels, with a particular emphasis on science education. UT-Battelle has provided $10 million in support of math and science education, economic development, and other projects in the greater Oak Ridge region, including a leadership role in the $55 million renovation of Oak Ridge High School.